MD Construction & Contracting | Building Contractors | Renovations/Additions | Windows & Doors | Restorations | Basement Repairs | Asbestos Abatement & Removal - Business Directory - St. Thomas & District Chamber of Commerce - ON, ON ? MD Construction is a trusted leader with a wealth of experience and knowledge in the residential and construction field. 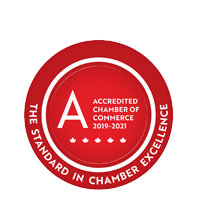 In business since 1987, the company is a proud Member of the St. Thomas & District Chamber of Commerce and the Better Business Bureau of Western Ontario. They believe in proper planning and doing the job right the first time. With competitive pricing and an eye for details, MD pledges to work on time and on budget. Call for a FREE, no-pressure estimate on any project. MD specializes in renovations & additions and projects such as complete rec room renovations, windows & doors, asbestos and mould removal, kitchens, roofing, decks, bathrooms, structural foundation repair, heritage restorations, garages, siding, commercial renovations and interior & exterior painting.